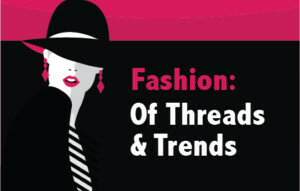 Designers are constantly innovating and experimenting with new materials and cutting-edge technologies. Germany gave the world the Bauhaus design aesthetic, and today, a new generation of German designers is working on a new design language that is both futuristic and eco-friendly. What’s Up, Germany? 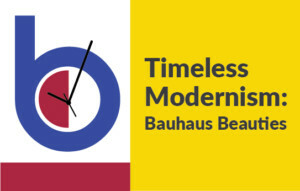 presents modern German design that looks to the future, from products, alternative materials to buildings. These are a few of our favourite things! SCHOTT has come out with a new lighting concept called LuminaLine that is ideal for vehicle exterior lighting. This breakthrough won the German glass manufacturer the prestigious Red Dot Design Award in the materials category and the German Innovation Award 2018. LuminaLine faced stiff competition from 5,600 entries from 55 countries and ended up the winner! A big thumbs up! German microbiology student-turned-designer Anke Domaske is using sour milk to produce a fibre called QMILK. Similar to silk, but much less expensive, it has antibacterial properties and is friendly on the skin. This new-age fibre can be used in the apparel, medical and automotive sectors. The Balancer floor lamp by the Berlin-based design studio Yuue is a perfect combination of geometry, functionality and style. Made of black powder-coated steel, it is uniquely interactive: turn the swivel key and the shade moves upwards or downwards. Porsche not only makes sleek cars, it also designs equally sleek buildings and lifestyle products for men, be it sunglasses or watches, hi-tech gizmos or apparel. To celebrate its 70th anniversary, it came out with the limited-edition Racer Flyline sneakers. Made of carbon material and leather, it is shaped to resemble the silhouette of the iconic Porsche 911. How cool is that?! Though not yet in production, this modern version of the traditional rocking chair really rocks! Designed by German industrial designer Matthias Kohler, this futuristic rocking wheel chair has a sleek circular shape and an overhead reading lamp. Designer Werner Aisslinger, in partnership with the German chemical company BASF, developed the Hemp Chair, the first monobloc chair made with a revolutionary technology in which natural fibres like hemp are moulded under heat using an eco-friendly glue. The minimalist GRACE serving trolley, designed by Sebastian Herkner for Schönbuch, is a real winner! This classy statement piece, made of powder-coated metal, glass and wood, is inspired by architecture of the1950s. Designed by the firm Herzog & de Meuron, the Elbphilharmonie in Hamburg is a modern architectural stunner. One of the largest and most acoustically advanced concert halls in the world, its wave-like roof stands tall on the banks of the Elbe River. You cannot ignore the Sony Centre with its striking tent-shaped roof at Berlin’s Potsdamer Platz! Designed by Helmut Jahn, it houses Sony’s German headquarters and has some good shopping, eating and entertainment options. The Paul Löbe House, with its pleasing glass and concrete facade, houses the offices and conference halls of the Bundestag’s parliamentary committees. Located next to the Reichstag building, it is connected to the parliamentary library by two footbridges under which the river Spree flows. The vast expanse of glass sends a clear message of transparency in governance. Both buildings are part of a complex known as the Band des Bundes, or “federal ribbon”, that unites the once-divided city of Berlin.